One of the many joys of knitting or crochet is the portability of the craft. Several of us keep projects in our bags for the daily commute or to have with us for those ‘just in case’ moments when our hands are idle. And taking your latest work in progress to your local knit night is another occasion where your craft relocates. 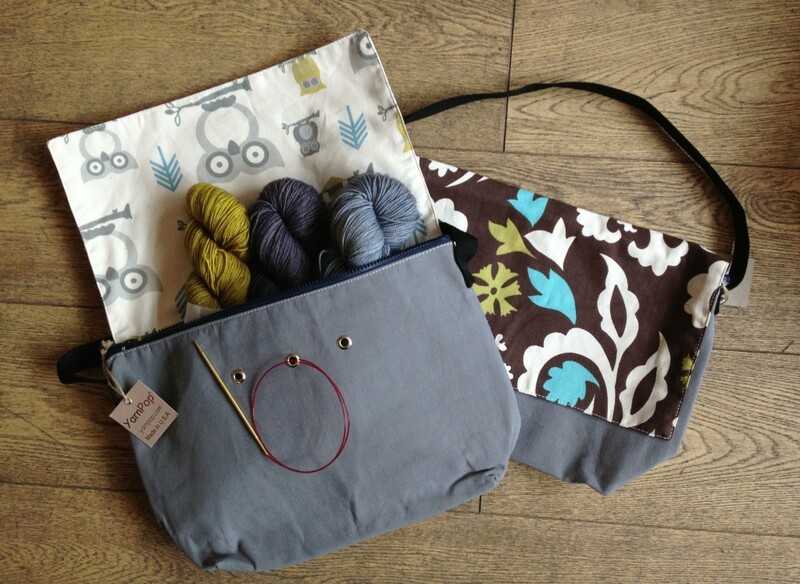 Project bags can therefore sometimes be an overlooked knitting essential when you are out and about. 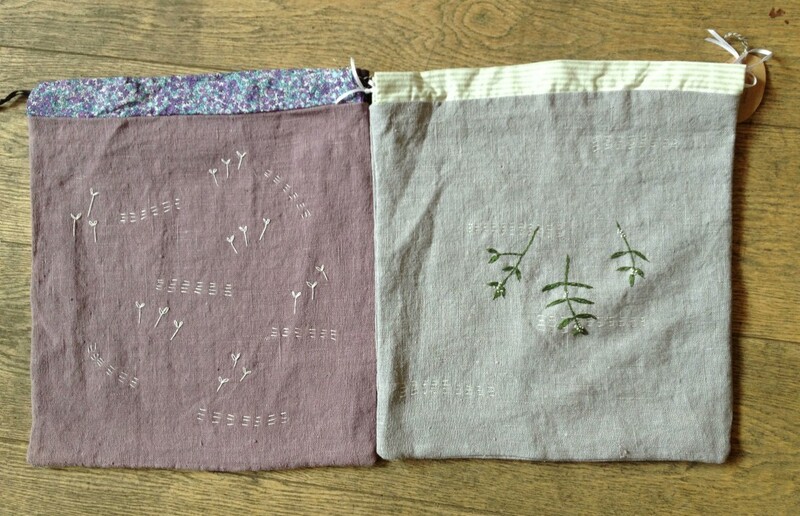 Not just practical as they keep your project clean and untangled, but as these designs by Melissa Wastney (Tiny Happy) show, they can be truly beautiful. 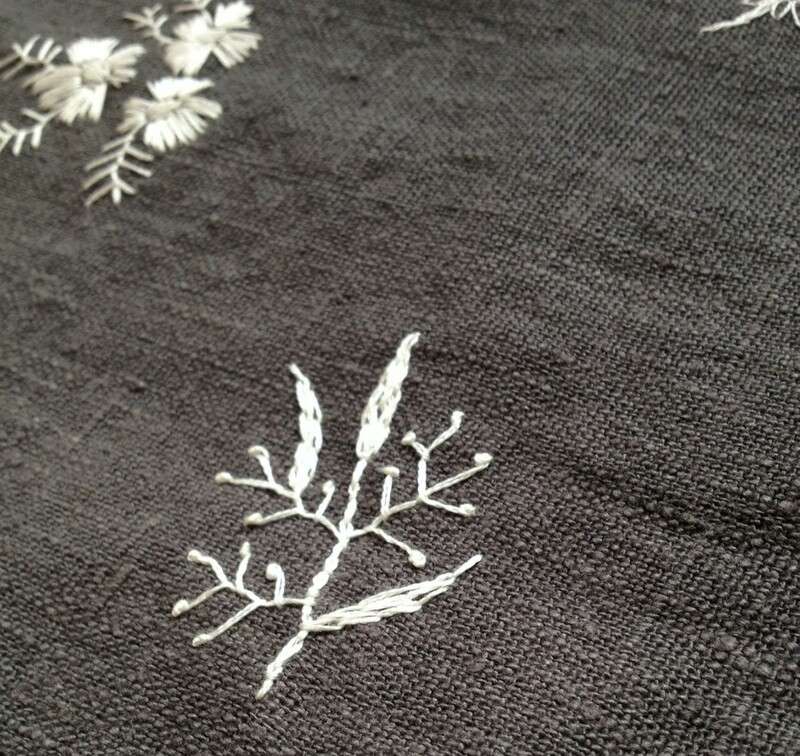 Each one handmade and totally unique, these little works of art are as special as a hand dyed skein. Loop has collaborated with Melissa Wastney, a New Zealand based textile artist and creative, to bring you these beautiful project bags. 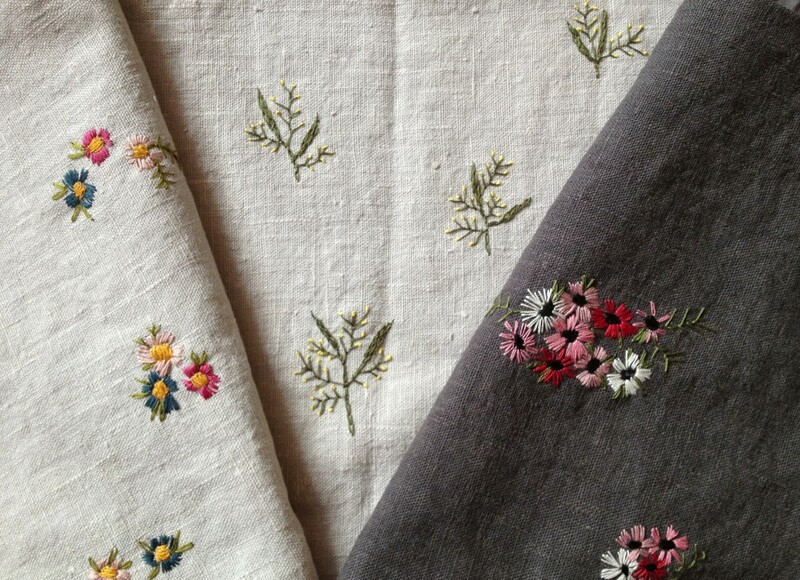 Made from washed Swedish linen in the most gorgeous hues, Melissa has hand embroidered flora and delicate patterns onto each bag. The woodland theme of this collection has been inspired by her garden and evening walks which, she confesses, allow her to spy on other peoples gardens too. 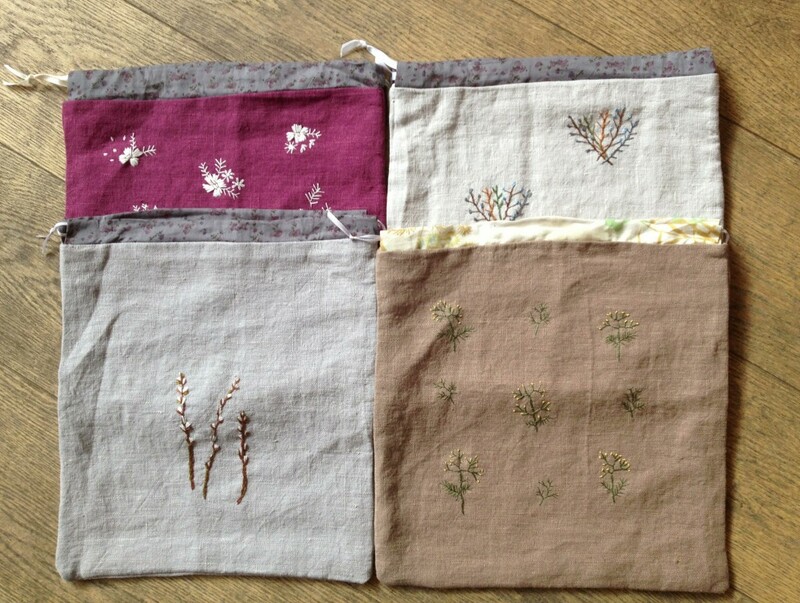 …to the contrast edging and lining inside every bag. 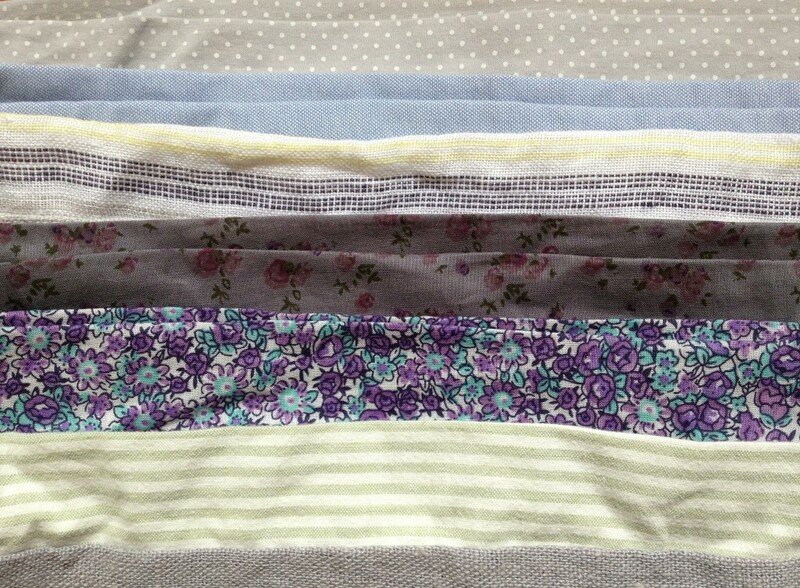 We really are charmed by each one – it is so hard to chose a favourite! While we introduce you to these new arrivals from Tiny Happy we also have several other styles for every project or indeed every knitter! 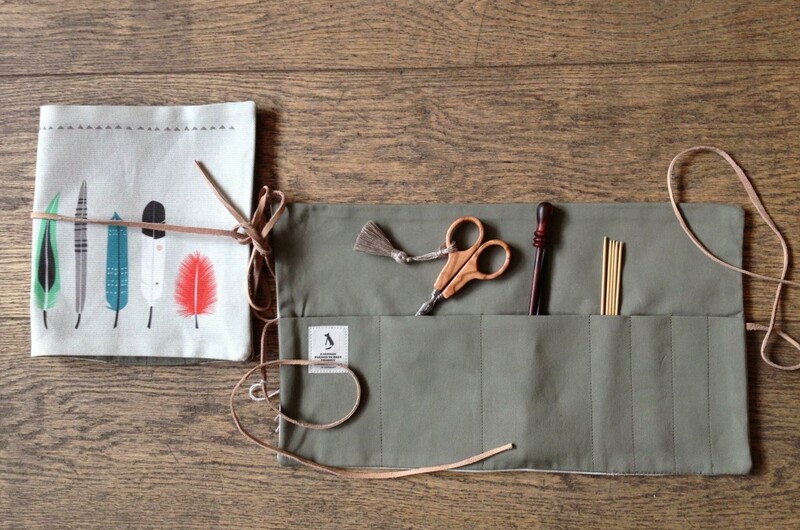 From German company Pleased to Meet, their Feather Roll Up Bag is perfect if you have several tools to keep under control. 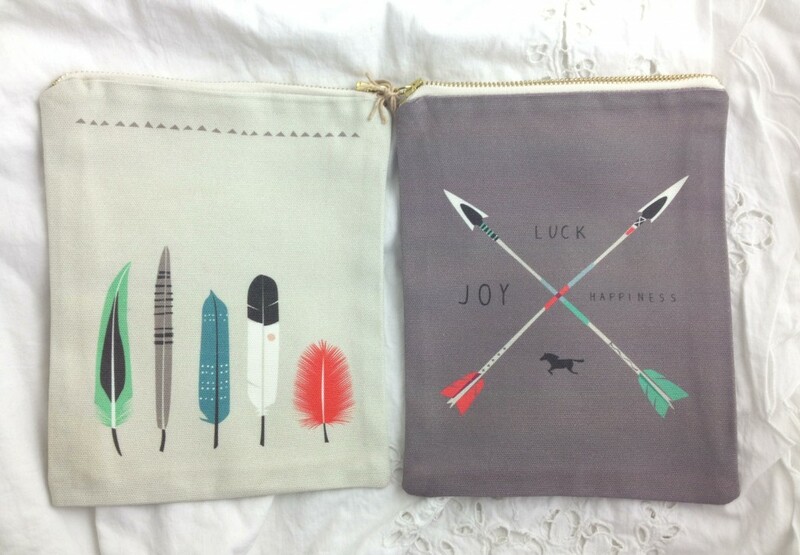 And for smaller projects, their Arrow or Feather bag. We featured the Yarn Pop bags on the blog when they first arrived at Loop and now we have them in more colours and designs than ever! These Clutch Project bags are roomy enough for larger projects with a handy strap making it just the thing for projects on the go. They also feature the classic Yarn Pop element of eyelets that allow you run your yarn, needles or even your headphones though and keep everything secure. 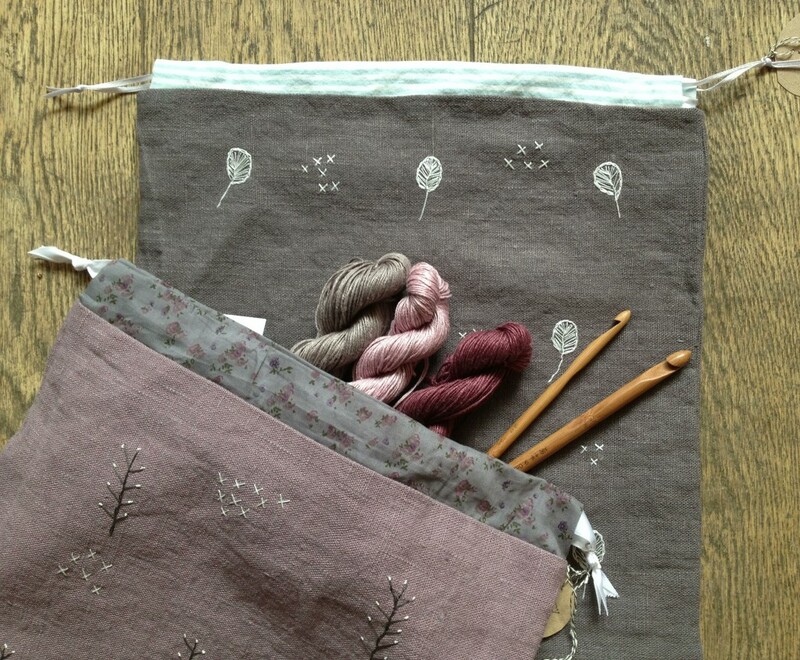 Being able to poke your circular needles out from the inside of the bag ensures that your tips won’t snag on any delicate lacework projects inside. We also have the smaller Gadgety Bag, which as the name suggests, is also suitable for keeping all you gadgets and gizmos in one place. Like the larger bags, they have a chunky zip which does not catch on the yarn and a pocket inside to keep your essentials. 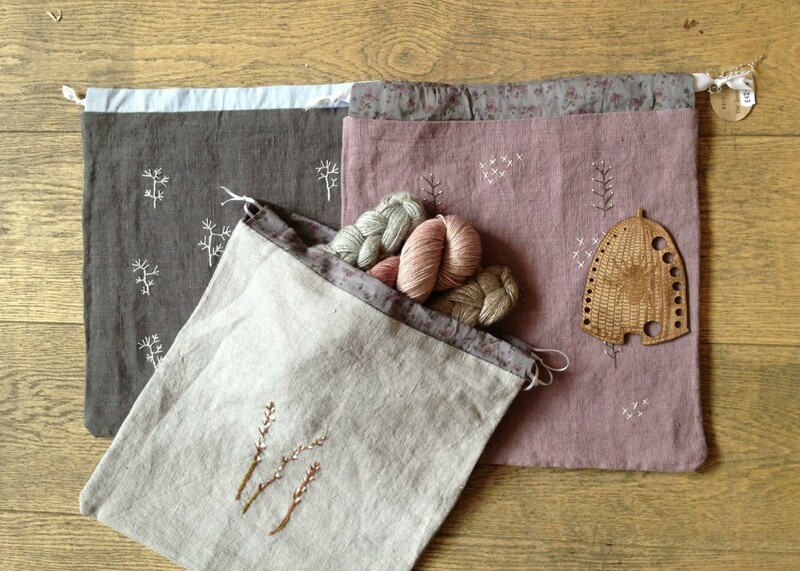 Or for a lightweight solution we have the adorable Pretty Cheep Bags from Blue Sky Alpacas. 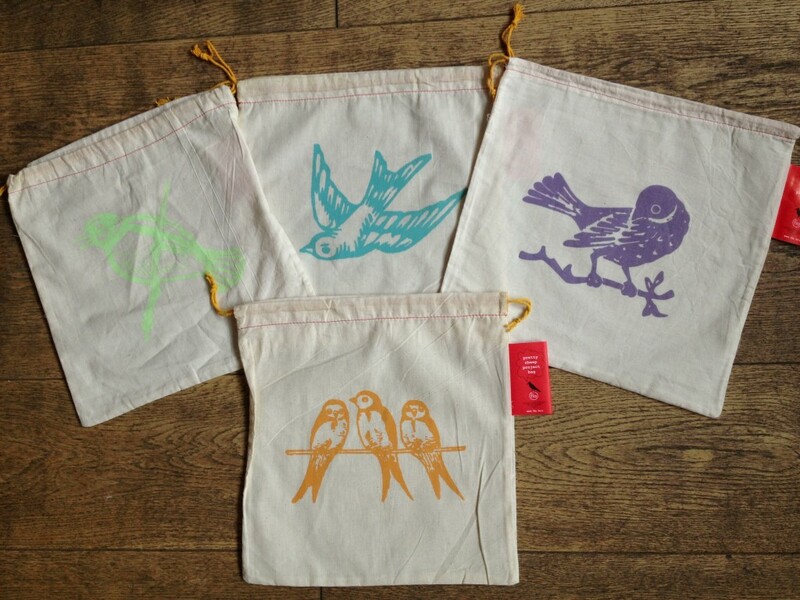 Each one printed with a different feathered friend and made from washable cotton muslin. 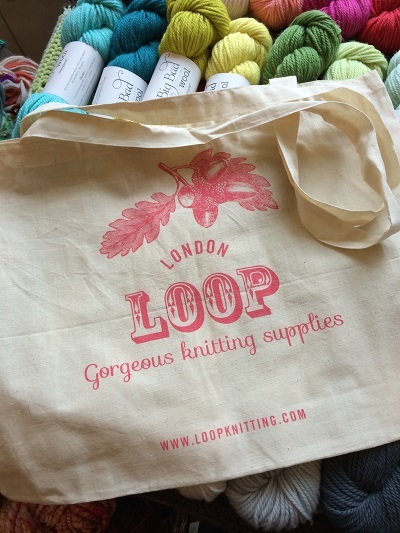 And who can forget the classic Loop cotton shopper! Roomy enough to accommodate your winter jumper projects (or the skeins you may have purchased for one…) we now have a new acorn design for Autumn. And one final thing… we are thrilled to announce the winner of last weeks competition for a ticket to the Selvedge Winter Fair. The name out of the hat was Jo Faul! Congratulations to you – we will be in touch to let you know how you can claim your ticket. Thank you to everyone who entered and maybe we will see some of you at the fair next week? Until then, Happy Knitting and Crocheting! So lovely! 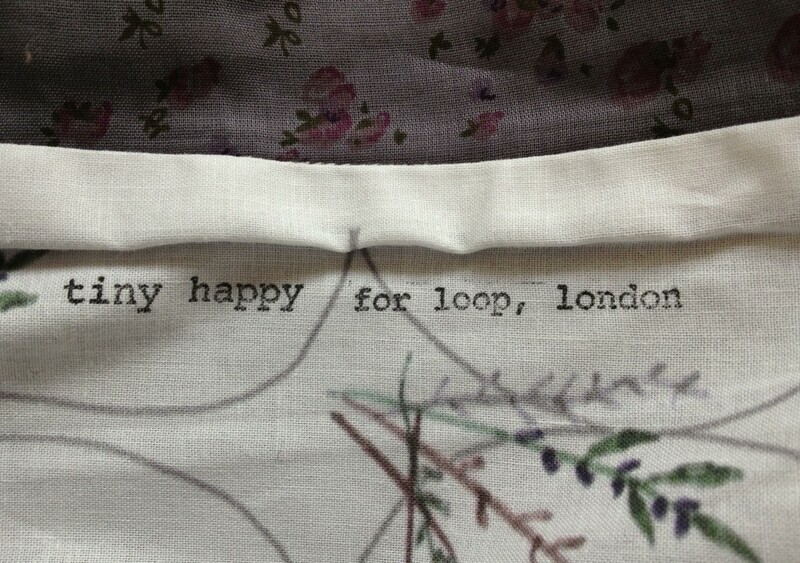 I hope when I am in London next time I can stop by and treat myself to one. (I live in Texas.) When I first started knitting, I poo-poo’s needing a project bag. However, you get your first one and realize it not only is beautiful and fun, but does make it easier to get on with the project. you all have the best stuff!